Whether it’s after a busy day or an intense workout, a nice warm bath is a great way to relax your body and clear you’re mind. Our Original Magnesium Bath Salts are a simple way to introduce a few moments each night of self-care. The salts dissolve easily into a warm bath to help soothe away your aches and troubles from the day. Magnesium sulphate is a naturally occurring mineral compound that is easily absorbed by the skin. This product is scentless and is suitable for people of all ages and lifestyle stages, infusing calm and tranquillity on even the most sensitive skin. 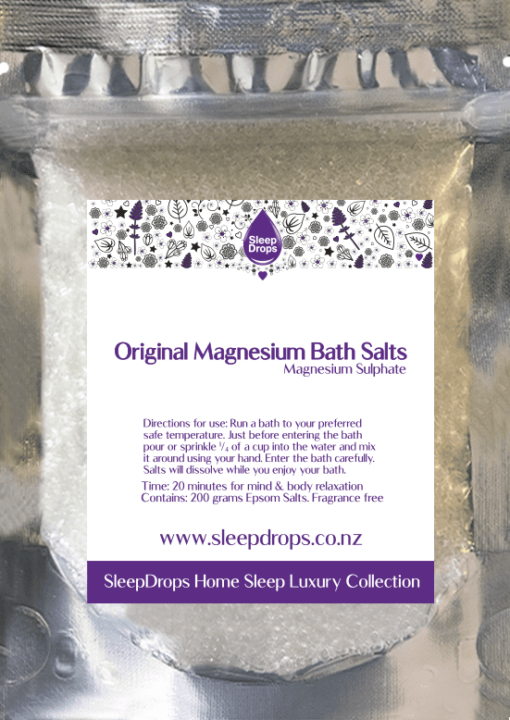 Magnesium sulphate that has been shown to support stiff & weary muscles, calm the mind, soften skin and support relaxation.These beautiful Original Magnesium Bath Salts offer a luxurious night time ritual to help support a natural restful night sleep.